Operating on Providenciales for over 12 years, Kissing Fish Catering offers dining solutions for weddings, parties, business events and private dining. Tents, awnings, tables, chairs, and lighting is available for outdoor events. 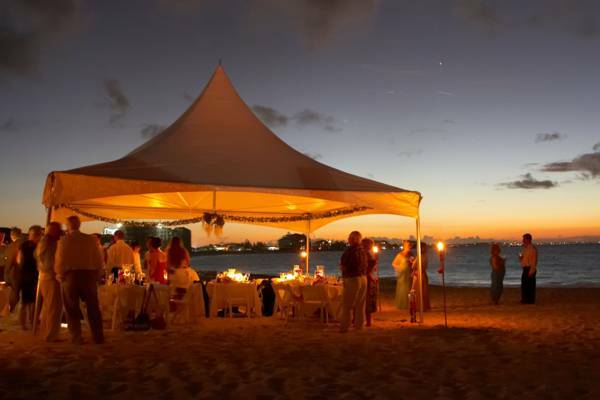 Enjoy your catered event directly on world-famous Grace Bay Beach.